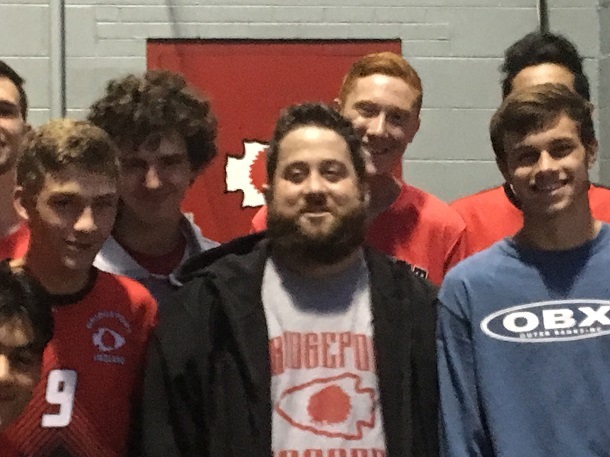 The battle continues for former Bridgeport High School assistant soccer Coach Joey Rogers. Earlier this year the well-liked former coach was diagnosed with late stage 3 or early stage 4 thyroid cancer. 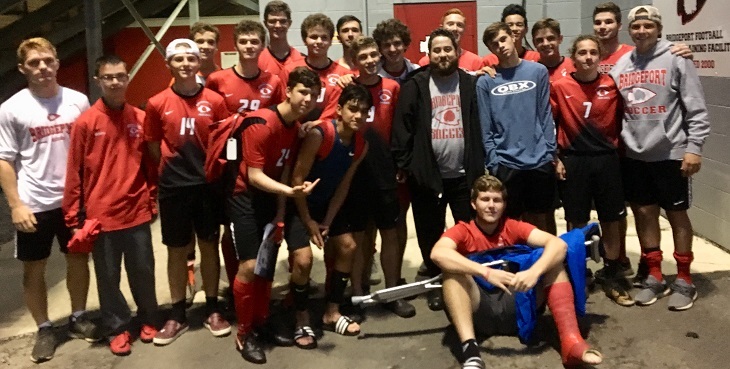 Despite the diagnosis, Rogers has remained upbeat and pledged to be at as many BHS boys’ soccer games as possible to offer support. And he’s done just that. In return, the community has offered their support by making donations to a GoFundMe page set up to help with financial costs associated with his future surgeries. Rogers had a pre-op procedure yesterday and will have surgery on Sept. 19. You can visit that page by clicking HERE. Now, the boys’ soccer team is trying to give back. 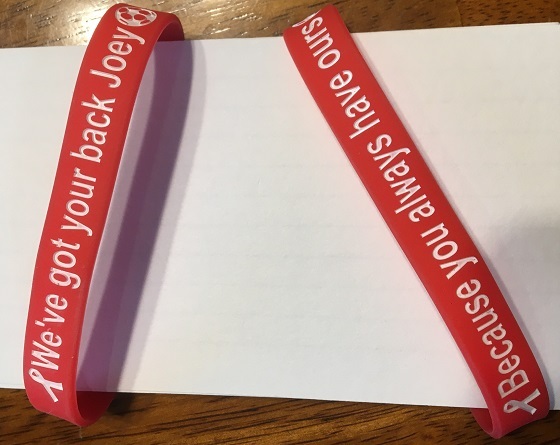 The soccer team has ordered bracelets that they are selling to help raise funds and show support. The bracelets are $5 and are being sold at the concession stand at home soccer matches. All proceeds raised from those sales will be given to support Joey Rogers and his wife Jennifer. According to Kim Nolte, one of several senior parents, the group got together to find a way to provide some assistance once they learned of Rogers’ situation. They came up with the bracelets, she said, as a way to say thanks for being good to the senior boys and other members that were coached by Rogers. Nolte said individuals that can’t make it to the game can get a bracelet sent to them. She said to make out checks for $5 – or more if wanted – and to make them out to "Joey Rogers." However, they need to be mailed to the following address. For anyone with inquiries, they can email bridgeporthighschoolsoccer@gmail.com.